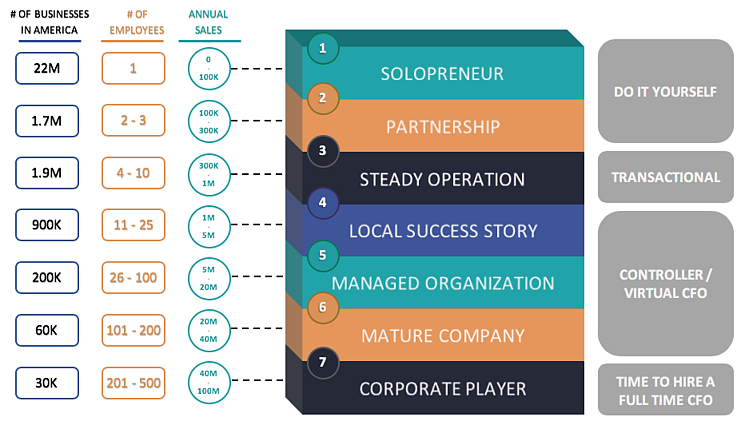 Below is an infographic with data from Infusionsoft showing the 7 Stages of Small Business Success. Augmentation is "the action or process of making or becoming greater in size or amount." The CPA Firm Augmentation Service is like a CPA Firm Alliance or CPA Firm Partnership where we can provide your firm with Virtual CFO Coaching and you can outsource the back-end accounting services in order to maximize your time and grow your business. While our CPA Firm Augmentation Service can be beneficial for CPA Firms of any size, there is an ideal size range where firms can benefit the most. If a firm is too small, the financial benefits may not be significant enough, and if a firm is too large, you may not need the type of service we provide. You're serving 10-20 clients in the 4-6 range (using the infographic above) that might need additional support with accounts payable and/or accounts receivable, cash flow management. 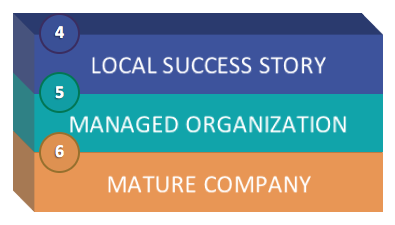 At this stage, dynamic forecasting is a critical component for businesses that want to scale. You're able to fully embrace the virtual environment. Meeting with clients and with Summit CPA happen remotely using video conferencing. It's important that you are comfortable with this going in. You are also eager to enhance your service offering and deliver more valuable services to your clients. You are as excited as we are about the mission of Summit CPA: Changing the way people think about accounting. Interested in learning more about our CPA Firm Augmentation Service? Let's chat!